The importance of maintaining your hair in the summer time is more critical than you think. The ultraviolet rays of the sun can damage chemically enhanced hair as well as hair that isn't colored. The sun kind of "cooks" hair causing it to become faded, brassy and stressed. It's is important to remember to moisturize, moisturize, moisturize. 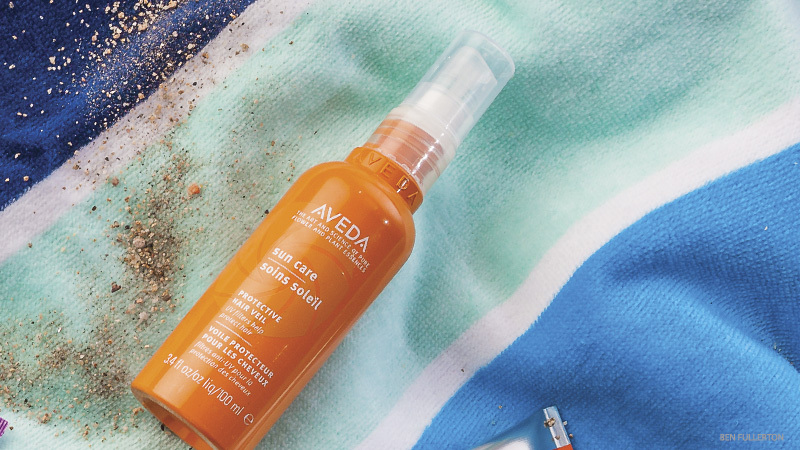 Use Keri Gold Salon's premiere retail products to help prevent summertime UV damage like Aveda's Hair Sun Veil, a UV hair shield to mist over hair before and during long periods of sun exposure like at the pool or the beach. This can be followed by Aveda's After Sun Repair Masque. If possible, try washing hair less. Or simply doing a conditioning rinse using a conditioner in substitute for your regular shampoo every other wash. Also, trying messy updo styles consisting of braids, side ponies, or loosely pinned curls for a night out by the fire pit with friends is not only the trend but super easy on the hair while still looking great. If fun updos don't come naturally to you, stop into Keri Gold Salon at any time to schedule a one on one lesson with your favorite stylist!